I hate to be the bearer of bad news, but someone who uses the word "cattywampus" in ANYTHING...never had groove to begin with. You are a smart dude, though. Thank you Rock for your insight and the time you take to share it. I am unfamiliar with Royal Skousen's version. I would be curious to know what differences there are in his book versus this book that I have: Significant Textual changes in the book of Mormon. It was edited by John Dinger and compares the first printed addition to the manuscripts and all subsequent major LDS English printed additions. I have gone through John's book chapter by chapter and verse by verse and updated my current LDS version to match the original manuscript he uses. I previously have rejected the idea of getting the new Scriptures because of the additions made to them by Denver. I reject him as a prophet or having seen Jesus Christ. I do not want to have his psalms or his "inspired" version of John in my scriptures. I think that in order for the restoration scripture project to be more congruent with its original purpose that it should stick to the original manuscripts instead of trying to add "new" Versions or updates. Ryan, Denver didn't make those additions in the proposed scriptures. And if you think they shouldn't be there, you are invited to say so on restorationscriptures2017@gmail.com. Believe me, Denver doesn't care; it wasn't his idea. None of this was his doing. Honestly I don't know why this is an issue with some people. Ultimately none of us will decide what goes into the finished product or not; we can only suggest. The Lord will tell us, "keep this, take that out." What we do need to do, however, is compile the best and most accurate set we can come up with before we submit it to Him. Remember; what the committees have proposed so far is only a preliminary draft. Rock, I am both agreeing and strongly disagreeing with you. I probably won't be able to put all of my thoughts here but I want to address some of the most important to me. Yes, we need corrected scripture and I am 100% supportive of any effort to get us back to the original church and that effort should include making sure it's pure even for those who are faithful LDS. That means that Denver Snuffer "revelations" should not be included and canonized, which Denver approved of. I strongly disagree that sections such as 132 should remain even as a "Denver edit" while the marriage section like the original 101 be kept out even though JS said he lived by it and was the law of the church. The Denver edit still is supporting polygamy which is a BY doctrine, not Joseph's. The committee's reasoning for not including 101 is absurd! If they really wanted to follow that reasoning they would never include or accept section 132. Further, you say that Denver does not want to be a leader of any organization and that no church is being formed, I say that the evidence suggest otherwise. First, the early saint made a covenant with the BOM when they joined the organized church and every member since then believes they are under covenant just by being a member. Isn't that the purpose of being part of a church? You promise to live by the revealed scripture? I know personally that is my covenant with the lord. So, with that in mind, you said that these scriptures are going to be presented to a body of people who will make a covenant to have them binding upon them. You also said that they won't be finalized until they are taken to the lord for his approval. Who is going to take them to the Lord for his approval? Who is going to be the person who has a one on one with the lord for him to review them? Denver correct? Isn't that who this committee is going to ask to do that? Has he accepted that task? That makes him the "leader" just like JS was the leader. In order for any covenant to be binding, names must be written down and kept. Where and who is going to keep these records for the Lord to have them in his Book of Life? If this conference is asking me to make these scriptures binding upon me, they are asking me to make Denver my prophet. Denver has made the statement ( paraphrasing) that if I don't believe his words I am in danger with the lord because I will cursed if I don't. I have much more that I want to say, but let that suffice for now. I will never make DS words binding upon me. If the restoration scriptures want to be as the original church, Denver words need to be left out. Those who want to follow Denver are free to do so, but adding him as a prophet whose words should be binding, is not what I believe the lord wants. I am sorry, I realize you are friends, but there are those of us who see real doctrinal issues with his teachings and will never accept him as a prophet or messenger of any kind. I am sorry if I disappoint you, however if you strongly believe we need the original church, surely you must be able to see that what I have said has merit. Thank you Rock. I will voice my opinion and concern. Have you read John Dinger's book? If so, how does it compare to the Royal's? Ryan - I'm on my third go around on Royal Skousen's "Earliest Text" version. In my opinion it's extraordinary. It's laid out like long-form poetry and reads beautifully. Traditional LDS chapter and verses are noted, but don't interfere. Brother Royal notes each change in the in the appendix, which is about 50 pages. Some are significant, others minor. There's a certain quaintness and charm to it, as Royal kept the grammar as (so far as I can tell) as Joseph transmitted it. There's also plenty of room for notes on each page, which I really like. It currently sells for $32 on Amazon. I paid $25 for it (well, my mom did as it was a birthday present). A gathering of covenant people? Would that be those who DO according to that which is written in the Book of Mormon. And exactly what is it that they are to DO? Is this even known or discussed or debated by anyone? Is it a forgone conclusion as something obvious? If obvious why has it never been addressed....ever? I believe that what must be done is the baptism of fire and of the Holy Ghost. The Book of Mormon is the number one best text on the subject. In the Bible we got Jesus personally coaching the Jews after his resurrection, seen among them for forty days. He commanded them to continue seeking the Promise of the Father, the baptism of fire and of the Holy Ghost. Zion must be exceedingly expert in this commandment to be rid of the Lord's condemnation. But who coaches this correctly today so that people do not substitute their fond 'love of God' as proof of having brought forth an acceptable sacrifice that the Lord will receive with his promise of a new creation, truly born of God, conceived in the shed blood of Jesus. Not a mere 'Thank you Jesus', 'Halleluia', Praise God', but the earnest of salvation. And not a joining the 'true church'. The king of the Lamanites was born again without having joined a church of even been baptized. Neither were the Lamanites at the prison where Nephi and his brother Lehi were protected by the power of God that converted the Lamanites and they 'knew it not' what had happened to them after they feared God with full purpose of heart. I am all in favor of getting the best scriptures we can get, as close to the original as possible. There is so much controversy over Denver though that it would be best if they left his writings out of it. If Denver has even an ounce of humility, sincerity, and honesty, he will insist that they leave his writings out of it. Denver's writings don't need restoring; the ancient texts do. Particularly interested in your source for the printer using the KJV for the Isaiah passages. That knowledge would have answered many people's questions and concerns. Pepper, I think if I told Denver Snuffer that I would be voting to have his word binding upon me, he would laugh in my face. It would probably be the end of our friendship, too. I can imagine him saying, "Rock, I really like you and all, but I just can't be friends with somebody who is that dumb." I understand your concerns, though, Pepper. Those of us raised in the LDS Church can't seem to shake this idea that somebody has to be "The Prophet," some one guy to whom the Lord reveals his will for everybody else. If it isn't Thomas Monson, then it must be someone else. Some folks have tried to latch onto Denver Snuffer, and even though he has repeatedly rejected any such role, a lot of awakened Mormons can't help believing he will be taking the reins eventually. He won't. Remember in Exodus 20 when the Lord wanted the children of Israel to become acquainted with him? They were too afraid, and said to Moses, "you go see what he says, then come back and tell us." This is the prophet model we still see exercised in the LDS Church today. "There is only one person on the earth at a time who has the keys to blah blah blah." NONSENSE! The Lord wants to lift us all. Equally. Joseph Smith's role was to get this thing off the ground and get the people to understand they were in charge of their own salvation. They didn't get it. Now it's time for the next phase of the Restoration. We get to do it ourselves, with no leaders. If we take on leaders, we will have blown it just like our pioneer ancestors did. Denver is not any more special to the Lord than you or I. I'll grant that Denver Snuffer is smarter than me. And a heck of a lot wiser, and better informed about our early history. But that's because he chose to spend more time studying and learning. While Denver was wading through and underlining every volume of the Joseph Smith papers as they were released, gleaning first hand information that had never been available to the public before, I was reading through a collection of DC Silver Age comic book reprints. I can tell you how Streaky the Supercat got his powers, but Denver can explain how the doctrines of the church have been changed and diluted. That's because Denver spends his free time more productively than I do. He chose to learn things that would benefit his understanding. And that's why he's smarter, wiser, and better informed. But none of that makes him the Lord's chosen. The scriptures teach us that we are all entitled to come unto Christ. We just have to want to. Denver is not the only person who has had the experience. He is not THE ONE. Pepper, You assume that when the time comes to put the scriptures before the Lord for His approval, there will necessarily be one person elected to do that, and that person is presumed to be Denver. Again, that's your Mormon upbringing showing through. If that was how it worked, then we would all be required to have a testimony of Denver, so that his word could be trusted as he delivered God's answer. Surprise! Denver will not be delivering the finished scriptures to God for his approval. It will necessarily be the same people who have been laboring over them for more than a year. Remember How the Lord told Oliver Cowdery that he wasn't just going to do all the work for him, that he, Oliver, would have to work it out in his own mind first? Well, that's what these researchers have been doing. They have been checking and double-checking for accuracy, requesting input from everyone else, and when they are satisfied that they have gathered all the proper documents together, THEY will be praying individually and collectively to find if what they have put together is what the Lord wants available to His people. He may suggest they take this out, or put this back in. And ultimately if it isn't what the Lord wants, there will be no vote of acceptance by the people, because if the Lord doesn't think it's necessary for His people to have His word as originally produced, He won't approve it. This isn't Denver's baby. When it was suggested to him, he felt it was a good idea, and he supports what these researchers are doing. But Denver is not the one who will be deciding whether YOU should have a set of these scriptures. If you don't like the idea of Denver being represented in the work, say so. Give the committee your input. If they end up in there anyway, don't read them. Do you reject the entire bible just because you don't agree with animal sacrifice in Leviticus? Don't read Leviticus! You don't like seeing Denver's description of Gethsamane in the Pearls of Great Price? Rip those two pages out. Or ignore them. It doesn't matter. The Lord said the Book of Mormon is the New Covenant. That would be what we are covenanting to, not half a page of Denver Snuffer's Proverbs that somebody on the committee thought it might be a good idea to include. Personally, I don't see anything toxic about those small parts that have Denver's name attached to them. They are mostly words of wisdom. You either feel they're helpful, or they're innocuous. Either way, there's nothing there that resembles a commandment, so nothing Denver Snuffer ever wrote is binding on anyone, and never could be. There seems to be a lot of unfounded rumors about all this. I recommend CAREFULLY reading all that Denver has written since all this came out, so you can sort out what he has actually said, and what he actually means by what he said, from the wild rumors others have been promulgating. I provided links to two pieces in my post. What I see with this project is the opportunity to have the most accurate scriptures possible all in one place. I don't have to care about everything in there to be happy to have it available to me. Ryan, I'm glad Matt lohrke responded to your request for information about John Dinger's research, because I don't have that book and don't know much about it. I am aware that Royal Skousen reviewed it somewhere, probably in Dialogue or The Jounal of Mormon History. My recollection is that Dinger's research compared favorably with Skousen's own, which is to be expected. Royal Skousen's Magnum Opus on this is a six volume set that, unfortunately, sells for 300 dollars. So guess what? I don't have it! I believe it is made up mostly of facsimile photos of the mushy remains of the original manuscript. If you live in Utah you can probably find it in a university library. Or if you have the means, you can buy the set from Benchmark Books. My feeling is that his book on textual changes Matt is reading is plenty enough. You can also find some monographs about it by Skousen in Kindle form for 99 cents each. I bought two myself. The pictures are quite interesting, but I haven't finished reading either one. Oh, there is also what I believe is a multi-part series on Youtube. Search for Royal Skousen Book of Mormon, and you should be able to find several hours of Skousen speaking about his findings. James Q. Muir, I believe Denver addresses your questions about what a covenant people do or are for in his piece on Scripture, Prophecy, and Covenants, which I linked to in my post. If you don't find it there, go on over to his blog and look through his half-dozen or so latest pieces. He has already addressed pretty much all of the concerns people have, but I suspect some folks just aren't bothering to read them. A lot of the push-back appears to have resulted from someone expressing concerns, and doing so in a way that did not accurately convey Denver's position. Then someone else picks up on that, then another, and next thing you know, the rumor mill is out of control. Steve, I'm wracking my brain trying to recall precisely where I saw the stuff about John Gilbert copying portions of the KJV. Over the years I've read a lot of stuff and watched a number of videos, so I'm no longer sure where I picked that up. Here's another 30 minute documentary. I'm not sure you'll find anything very helpful in there, because it's "Church-Friendly" and therefore not likely to reveal how problems set in. I'll try and remember where I read this. Meanwhile, if anyone else can help Steve with a source, please weigh in. You might also check that BYU Studies piece I linked to by Janet Jenson in my piece and see if it's in there. Rock, Denver has in fact proposed modifying the text of the Book of Mormon by revelation from the Lord. The modifications are clarifications similar to Joseph adding "the Son of" to several phrases and changing "white" to "pure" in several instances. The purpose of the project is therefore not recovering the most accurate original text of the scriptures, but something else. If Denver proposed clarification under authority of the Lord to make the text more accurate, then it makes it more accurate. If you don't believe Denver had the authority to make those changes, you are within your rights to ignore them. I always enjoy your articles. I have to say the last part about Snuffer not being the leader of a movement/organization seems somewhat disingenuous to me. While he makes no claim about being a leader, he is directing people with revelation. He claimed revelation about 7 women sustaining a man for priesthood function. He's pushing the idea of a scriptural covenant. It's his stories that are being published in the updated texts. Etc. He is a de facto leader of this movement, or whatever you care to call it. After all, while he didn't first come up with the idea to raise funds for a new temple, who did those people come to? Snuffer. Saying he's not the leader is just splitting hairs. He's acting like the leader, even if he doesn't want to be called on. As for the scripture thing, it's somewhat disheartening. I appreciate your shedding light on the people involved on the scripture project, but when you say "scholars, researchers and historians" isn't that the same group of people who got us where we are? These are the same people the LDS authorities rely on for historical and doctrinal pronouncements. Honestly, I'd rather have someone with a seer stone and some revelation get the scriptures restored. "I have been betrayed by friends, scorned and rejected because of falsehoods. Against the rejection and disloyalty I find myself thinking "I don't blame them" because if I am fair about the situation I find so much unlovely, unlikable and repellent about myself that I do not think others will be accountable for rejecting me. But the truth of the message is another subject. If God is the author (and He is) then the words, however awkwardly expressed, are nonetheless His and He will own them. He will make others accountable for their reaction to them. God has not always sent people who are easy to like. Elijah is so business-like, so brusque and solemn that most people will find him very off-putting. John the Baptist is fierce, blunt and direct. Of them all I can only think of John (the Beloved) as approachable, likable and disarming. He does not inspire formality, but quite the opposite. And while Father Abraham is kindly, it is really Mother Sarah who radiates love and compassion. The people who went before are real. They still live. They still care about us. They are working to cause the fulfillment of covenants made long ago to them in their generation. God is behind a last-days effort to vindicate His word. Whether we like who He sends, or believe what He is doing, or even recognize His involvement, it is nevertheless the case that God is now involved very directly in bringing about the end of His great work. "You mustn't confuse the fact that I hear His voice and teach what He is trying to offer with any personal significance. DO NOT assign any value or respect to me. But what I am teaching is true. What I am saying is not speculation or conjecture founded in the reasoning of mankind. I spent the entire night of April 14th in an interview with the Lord which has made my own inadequacies and limitations all the more clear to me. I know how weak and unqualified I am. That is not false humility. It is the FACT. But I find myself in a position I wish anyone else, moreso I wish everyone else, would occupy. Then I ask myself, who am I to resist God? Who am I to fail to respond to what is asked." All the words I wrote were relevant to understanding what I wrote. The point of the project is not to obtain the most accurate original text of the scriptures. The point of the project is something else. I have many of the same concerns that Pepper Davis does and I agree that D&C 132 should not be included, nor should any of the D&C or PoGP, or BoM, etc, for that matter. For I believe Christ taught very clearly against all forms of polygamy and thus he taught no true disciple of his would believe in polygamy or support it as scripture. Christ also taught not to trust men, no matter how sincere, to be your leader or trust them to write or compile any scripture, let alone believe men who say they got approval from God about their work or beliefs or visions, etc. But to test and prove whether someone is a true disciple or prophet by whether or not they keep all the commandments of Christ. And even then we shouldn't trust them to lead us, for they can still fall or be wrong. Christ said only follow him and his few commandments as found in the NT, no new scripture was ever necessary, for no man has been perfect since Christ and even if one had he would write or preach the exact words of Christ and nothing different. The only possible scriptures that Christ or God might approve of are some of the words accredited to Christ in the New Testament, and even many if not most of them are probably inaccurate or were falsely written down or added to or changed. 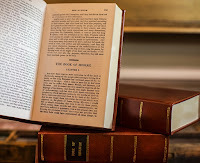 The best we can do to have true scripture is to live the commandments that Christ taught in the NT and see if they are true or not, and if so then we have our own witness, which no one can get for us. The fact that a person may be a skilled scholar, historian, and researcher does not preclude his ability to seek the Lord for confirmation of his findings. Recall what the Lord said to Oliver Cowdery, that he was not to come to the Lord and expect the answers to simply fall into his lap. He was to work it out first, then go to the Lord to have those findings confirmed. The men and women involved in pulling together the materials necessary to create an accurate set of scriptures understand that the Lord is not just going to hand it to them. They must do the digging, and once they find something they must check and double-checki it for accuracy. God isn't just going to hand it to them. They have to do the labor first, praying as they go, after which the rest of us are expected to put in the effort to review their work and also ask the Lord for confirmation. To your other point, I think you may be confusing "leader" with "teacher." When I phone Denver to get his opinion, it's because he knows more on certain subjects than I do. I do not go to him to ask him what I am supposed to do. For that, I go to the Lord. If others contact Denver or run ideas past him, it's for that same reason: he is more knowledgeable on a lot of things than they are, and he has a lot of wisdom and insight. If he received some of that wisdom and insight directly from the Lord, that's all the more reason to consider his views on a particular issue. "While I claim no right to control, manage or command any other person, I do claim the right to teach. Like any other person who believes in something greater than themselves, we all have the right to teach what is important to us and have others consider." I'm beginning to think some people are opposing the Restoration Scriptures project because they feel it is somehow intended to be the Holy Grail of God's word, dropped into our laps as a perfect whole and answering all our doctrinal questions. And so they find little things to niggle over, certain that what is now being proposed is not perfect, that it is flawed from the start, and therefore it is folly to even attempt it. Folks, what I am seeing in this proposed draft is a vast improvement over what I have depended upon for my study in the LDS Bible and triple combination. Let me repeat: an IMPROVEMENT. These books will not be perfect; and they will not be the only tools in my library. 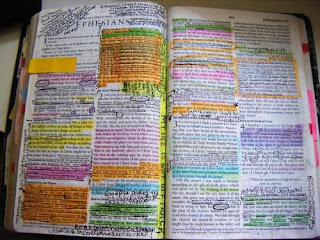 When I finally obtain my finished set of Restoration Scriptures, I will not look at it and expect it to be God's final word. It will be a start. It is an improvement over what I have so far, and for that I am grateful. Don't expect magic. Don't expect perfection. See it for what it is: something substantially better than we've had before now. If you don't feel it will benefit you, so what? It's free. You don't have to download it. You don't have to purchase a physical set. If you are not interested, then it's not your bag. If you want to assemble your own set of scriptures for your own edification, you are free to do so. Thomas Jefferson cut and pasted his own copy of the bible for his own reading pleasure that contained only the teachings of Jesus Christ, and it seems to have served him well. So, do what you want, read what you want, and leave others to read what they wish. If you have strong opinions about what you feel would be better included in the Restoration Scriptures, or what you feel should be left out, what are you telling me for? Lay out your argument to those who are doing the compiling. They are waiting for your input at RestorationScriptures2017@gmail.com. They want to produce a better product, so this is the time to provide them with your ideas. They will prayerfully consider your suggestions, and if they end up publishing the work without having followed your suggestions, so what? Create a set of your own more to your liking. You have better tools for cutting and pasting than Thomas Jefferson ever did. Rock, your claim regarding the Isaiah chapters is very intriguing: "But Gilbert thought it more efficient to simply copy the words right out of the Bible and set them into type, thus entering those old errors into the new covenant of the Book of Mormon." But unfortunately it doesn't appear to be true. I checked the first two Isaiah verses I went to in the BOM and neither the wording nor the punctuation matches the KJV. I also checked the 1611 KJV and it's the same story. I would love for your claim to be true but it appears to be false. I would also like to see your source for that claim if you can find it. For anyone interested, I tested 2 Ne 7:1-2. The other question I have is if Royal Skousen already went to all the effort to get as close to the original BOM as possible, why is it being redone? Did he mess up somewhere? Leo, You're forgetting that Joseph Smith presumably corrected much of Isaiah when he went over the manuscript again in 1837 and 1840. Therefore, whatever corrections Joseph made in the 1837 edition should (hopefully) remain in the English edition printed in 1841, which was based on the 1837. I mentioned Gilbert's copying from the KJV as one example of how Joseph's original manuscript and the printer's manuscript would have differed in some ways from the printed 1830 edition. I was not claiming some of those misprints had not been cleaned up, because I'm sure they had, by Joseph Himself. But the fact that even Joseph realized he had not caught all the errors by 1837 is the reason he put out another in 1840. Did he finally get it perfect for the 1840 edition? I don't know. Royal Skousen would have a better handle on that. I don't actually know what differences from the original manuscript, if any, remain in our current edition of the Book of Mormon. I would know more about it if I had ever gotten around to studying Avraham Gilieadi's massive research, which, I understand, utilizes what was available from Joseph's original manuscript, and because Gileadi is a Hebrew scholar, he also went to the available Isaiah inculabula. I'm sorry I still haven't had a chance to comb through all my sources for a source regarding Gilbert's copying, but like I suggested above, check Janet Jenson's piece, and also Gilbert's recollections which you can find in Wilford Wood's book. I read or saw it somewhere, but there was not much detail to it, just a mention that Gilbert kept an open copy of the KJV nearby to refer to when met with bible passages in Cowdery's manuscript. As for your question if Royal Skousen already went to all the effort to get as close to the original BOM as possible, why is it being redone: It's my understanding that those collecting material for the Restoration Edition are relying heavily on Skousen's research, as well as other scholarly papers. They would understandably rely on research that has been done previously. What has taken them so much time and labor is not that they were starting from scratch, but that they were checking the available facsimiles themselves to make sure everything was in order. It would not be appropriate to simply assume Skousen's research was spot on, and copy it verbatim. They also want to make certain by examining the inculabula themselves, checking and double-checking until they were satisfied. And don't forget: we only have 28% of the original manuscript available, so Skousen and all other researchers have to make some assumptions here and there. For example, the phrase, "the sword of Justice" appears seven times, then suddenly we find "the word of the Lord." Was that supposed to be "sword"? It appears, in context, that it should have, so a bit of detective work was also necessary on the part of Skousen, and he tells us when he is speculating and gives the reasons why he comes to certain conclusions. If we had all of the OM intact, it would be much easier. Hence, the footnotes in the Restoration Edition, so readers can compare for themselves. It is not an exact science, since some of the evidence is missing. Skousen's research on this project takes up six thorough volumes, and sells for $299.00, so I don't own a set. (You can probably find it in most university libraries in Utah.) My understanding is that it contains photos of every page of the OM available, along with ultraviolet pictures, along with a lot of academic commentary. His book, which sells for around 50 dollars, is a a more readable version of that set, but still not simply a straight translation; it is peppered with commentary and comparisons. The Restoration version, as you can see from the research edition, includes footnotes showing the changes, but otherwise it is reproduced in narrative form, similar to the way the 1840 version laid out. When you read the scriptures, you will be relying heavily on the Holy Ghost to confirm whether something is correct. All that can be offered to the reader is the best evidence available. Like I said before, it's going to be a vast improvement over the LDS edition, but don't expect perfection. Leo, when I used the phrase "the word of the Lord" above I meant "the word of justice." Sorry for the confusion. Doesn't this sound just like the Nicene Council? "OK, we have here a bunch of books (or "revelations" in this case) claiming to be scripture. Let's put it to the vote to see what will make the cut for official scripture." Common consent has never been God's pattern for determining truth or establishing doctrine. No matter how many people vote to declare it. It's LDS correlation all over again. Is there anyone reading these words that, years ago, upon awakening to your awful situation, didn't kneel in mighty prayer before the Lord and plead for forgiveness and covenant to serve Him all the days of your life? Is there anyone who hasn't already gone before the Lord and accepted all revelations & scripture He has revealed, all that He does now reveal, and all that He will yet reveal pertaining to the Kingdom of God? Christ told Joseph their creeds were an abomination. Denver has talked about how the intent was to bring the gospel to the Israelite remnant. Instead they brought on the Campbellite movement and created a New Testament church, with a creed. And the Lord called them an abomination and they welcomed false spirits. The false spirits, and false priests created yet another abominable creed that made slaves of the souls of men. They were doing the same thing as we in this movement have done... and we think our attempts are going to be successful even though we've done NOTHING different. When the Gentiles don't receive Christ - they get more scripture under a covenant since that is all they are willing to receive. "In His mercy, God has made provisions for all people. He loves all mankind equally, has planned for allowing those good and believing people WHO WILL NOT QUALIFY IN THEIR OWN RIGHT to ascend the “mountain of the Lord” into His presence to receive it through MORE ORDINARY MEANS. God’s purposes cannot be defeated, even by man’s weakness. God has OTHER MEANS to qualify people to be His covenant family. And so, like ancient Israelites and the LDS church, we have a people who set up a man to be their Moses and declare what we need and don't need in order to be saved, avoid pestilence, famine, and destruction. We develop rules. And we are building a temple instead of becoming a Temple. We are voting on scriptures instead of fulfilling them. Choose God and God alone. Choose to be the temple instead of build one. Choose to fulfill scripture instead of vote on them. Choose to stand as a sentinel and wait upon the Lord and be not moved until He comes for you, even if that means pestilence, famine, and death of your bodies. Be thankful for this scripture project. Because it is likely bringing you to your knees and forcing you to decide what you want. Do we want to be part of a group who has not yet been redeemed... or do you want to be part of Him? Choose Him. Again and again. Choose Him. As for me and my house - we choose to receive the Lord in the flesh or perish. We have knelt and covenanted with a great offering and sacrifice on the alter. Our lives. Our blood. It’s Him - face to face, or death for us. And it gives us the greatest peace. Far greater than we imagined. JBanks, you said, "Choose to stand as a sentinel and wait upon the Lord and be not moved until He comes for you, even if that means pestilence, famine, and death of your bodies. Be thankful for this scripture project. Because it is likely bringing you to your knees and forcing you to decide what you want. Do we want to be part of a group who has not yet been redeemed... or do you want to be part of Him?" My understanding of what happened with the 12 disciples of Christ in Bountiful has application here. Nine of them sought to "be redeemed," and to speedily join His kingdom ("be a part of Him"). I would love to know why exactly the other 3 "sorrowed in their hearts," but I believe it is because they thought they were going against what was expected of them. Yet their desire was seen by the Lord and He equipped them--just the 3 of them, mind you--to save their whole generation. Maybe they sorrowed because they thought they were asking too much--to bring men to Christ while the world stood. There is no mention of them wanting some R&R in the Son's Kingdom, though. To the contrary, they were willing to give up their 'eternal lives' with Him to rescue their fallen brethren. In other words, they wanted to actually follow the doctrine He had personally given to them: to walk a mile with and bless their adversaries (friends don't throw friends into pits of fire and wild beasts). These three will no-doubt come to the gentiles as witnesses and "establish" a great work among them. But the gentiles are condemned at the moment. It appears there is now means to lift that condemnation as a group. If people want to seek their own eternal lives and find the face of the Lord, they will be blessed, I'm sure. But if the desire is to go after something bigger, even at the risk of losing their guarantee of salvation via an audience with Christ, we are told that the Lord will bless them as well (see JST Mark 8:37-38 and 3 Nephi 28:7). Inspire, those who rend the veil know that you don't walk away without a mission and a blessing. You are assuming that ALL who make this covenant are solely interested in "bringing men to Christ while the world" stands (quoting you) and that those who "only" seek their own eternal life will receive something lesser. This is an incorrect assumption. I did not approach the Lord seeking my own welfare and my own salvation. Far from it. But I will say this - you nailed it in one area. And that was the point of my comment. I am willing to give up MY "eternal lives" to rescue my fallen brothers and sisters. And first - I must be redeemed. Now tell me...what takes greater faith at this point? To covenant with a group who has been promised survival... or sorrow because you aren't part of the majority wanting something immediate and guaranteed, like this scripture covenant? What I offered to the Lord - I have no guarantee. It is offering my life and my blood to become redeemed so that I may, with the Lord's will, seek to assist in the redemption of mankind. Jbanks, I don't think it's a contest to see who has the most faith; rather, it is about desire. The three were "guaranteed" safety just as a means to accomplish the work and be convincing. They didn't ask for "more" blessings and the blessings came not as a greater reward, but as tools to get the job done. And I'm not assuming anything about people's interests, including yours or those who want to join this covenant. Clearly, they are wide and varied, as well it should be. Some desire to come to His presence and receive their mission, blessing and instructions then go from there. The nine wanted to be done with their ministry and get to the Son's Kingdom. The three desired to "bring the souls of men unto [Christ], while the world shall stand." You want to offer your life and your blood to become redeemed so that you may, with the Lord's will, seek to assist in the redemption of mankind. I don't see why people who have similar desires (like rescuing others) but different approaches (through a group covenant or individually knowing Jesus) can't work together. The 9 and the 3 did it successfully, anyway. Rock, I find it interesting that you havent commented on JBanks post. It is brilliant. Well Josephine, I don't quite know what to say, other than I'm happy to know he appears to have a head start on the rest of us. Alas, I'm not as advanced in the program as JBanks appears to be. I'm still rolling around in the mud down here trying to figure it all out. But at least I'm in good company, with plenty of others just as bewildered as I am willing to help lift each other up. As Joseph Smith said, "The grand fundamental of Mormonism is friendship." I may be misreading what Jbanks is trying to communicate, but from the way it sounds, his journey seems a mite lonelier than would suit me. But I don't begrudge him his attempt. ...that same spirit which doth possess your bodies at the time ye go out of this life, that same spirit will have power to possess your body in that eternal world. ...the same spirit you hearken to obey while living in the flesh shall, upon your death, have the same power to influence you to hearken unto that spirit in the next life. I was remiss in not mentioning in my piece that Rob Smith has painstakingly reset the text to Joseph Smith's corrected 1840 edition, so it's back in print. Rob always offers his publications as inexpensively as Amazon will allow, so it's available in softcover on Amazon for around 9 dollars, and on Kindle for about about 99 cents. 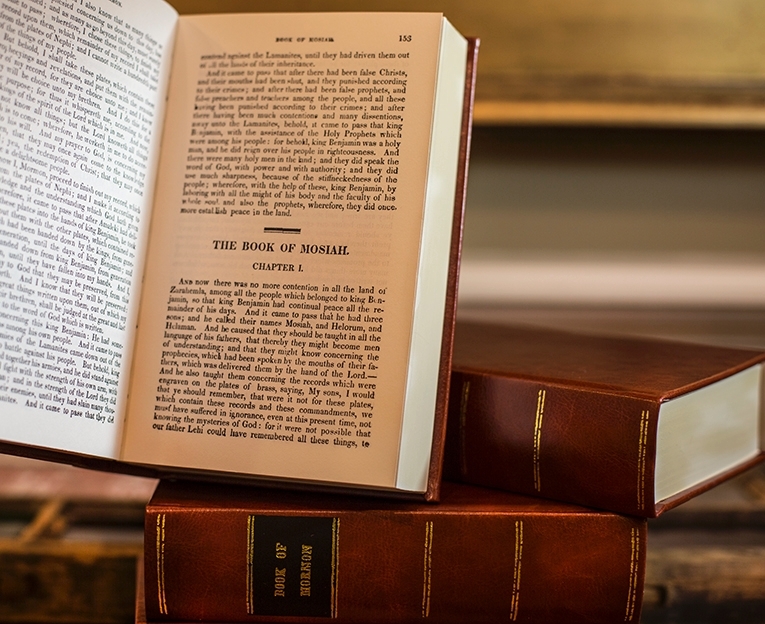 Denver's revelation to change some of the wording in the Book of Mormon was something nothing more than descriptive qualifiers such as "Son of "God. This change to the Book of Alma changes the spirit that one is possessed with to a spirit who is influencing our spirits. I tend to read the word possessed as not in a demonic possession type but as who we are and who we have become. It is our Spirit that possesses, or owns, our bodies. Not only that, but Denver's change also changes some of the doctrine of the spirit world. That when we are resurrected we will still be influenced by outside spirits instead of being self governing. I don't agree with these changes or his new revelation. This was a very interesting article Rock and I enjoyed reading it right up until you started banging on about Denver Snuffer. De-valued the whole article I'm afraid. If you want to study a more accurate and readable version of the Book of Mormon, I cannot recommend the Restored Covenant Edition highly enough. It is published by the Zarahemla Research Foundation and is very, very good. It was produced by independent scholars from an RLDS background and took many years to complete. They used a lot of Royal Skousen's research as well as their own discoveries. Skousen himself is very complimentary about this version. I have to admit I'm still kind of fuzzy on what the Lord meant when he said the Book of Mormon is a covenant. A covenant being more or less a holy or sacred agreement or contract between two parties, what does this particular covenant entail? I think part of it must necessarily include the Gentile responsibility to deliver the Book of Mormon to Lehi's descendants (who I don't believe are the good folks in Guatemala). I've been thinking a lot about Moroni's Promise -- it's directed to the Lamanites, not the Gentiles (and we're third behind the Lamanites and Jews). Joseph, as I understand it, clearly understood the importance of locating the remnant and sent out missionaries to the Iroquois nation in Western NY, among other places. This charge seems wholly lost on the modern church as does the Lord's word that the remnant of Lehi will build Zion and maybe if we're lucky some us Gentiles can help out. I suppose there could be a group of people who covenant to wholly serve Christ following the BoM model and would thus be spared at the 2nd Coming. Is that part of it? I dunno, I'm just an idiot with an internet connection, but I want to understand and I currently don't. Any insights greatly appreciated in advance. Thank you for sharing some of the email Denver sent you! Moroni (I mean Nephi) visited with Joseph on Sept 21, 1823. And the existence of the BoM was announced then, along with other quotes and prophecies mentioned in the JS-H. Joseph wrote "our interviews must have occupied the whole of that night." Now, JUST 2 WEEKS AGO or APRIL 14 (emphasis added but not enough) the Lord Himself is spending "the entire night" with His latter-day servant whom He has named David. Would we agree that it is monumentally and historically significant that the Lord personally is visiting (in large chunks of time) Denver vs. sending a messenger? I propose excerpts of Denver's interview with the Lord on April 14th, 2017 be added to the Scripture Project now underway! If what you say is true, that the Gentiles have the BofM in order to understand the requirements for living in the promised land, then surely it is irrelevant to Gentiles located elsewhere. There is therefore no need to flood the earth with the BofM, no need to read it, in fact no need to have any regard for it whatsoever if you're a Gentile anywhere other than the US. Alternatively, perhaps church members are not considered Gentiles. I'll restate that I'm just an idiot with an internet connection, so take it for what it's worth. The question is "who are the Gentiles?" The church would have us believe it's anyone who isn't a Mormon. I don't believe that's the case. After the Lord outlined the requirements of the Promised Land to the Brother of Jared, Moroni interjected in the narrative to state that the same condition applied to us and anyone living in the Promised Land ("And this cometh unto you, O ye Gentiles, that ye may know the decrees of God" - Ether 2:8-12). In my view, Nephi identified the British as the Gentiles in 1 Nephi 13. And if not exclusively the British, at a minimum the greater Germanic peoples (Anglos, Saxons, Norman, etc). The Lord declared at Bountiful that it was necessary that the Gentiles "be established as a free people." (3 Nephi 21:1-4) I don't think there's any way to misinterpret that as any other group that the British. They were the ones established as a free people. For the first 150 years of our history, Mormon's were some 80% of British extraction. I believe the Gentiles in the Book of Mormon are broadly the WASPS and Normans and narrowly the Mormons. Who, after all, even reads the Book of Mormon outside of Mormons? No one. (And very few of them even actually read it). I don't want to get too far off the subject, but I'm still trying to understand how the BOM is a covenant - what does that mean? I am intrigued by your response to Denver's emails. I could tell you about my visits with Joseph Smith and what he personally told me.. and you would better understand why I see your submission to Denver's stories as sad and wrong. Where is your Holy Ghost? Why are you not listening to HIM? There are so many men like Denver out there and they all do the very same things... and it all ends up tragic... Don't go down that road. You should be studying out all the cults that have been around that have started just like this one of Denver's. Seriously... wake up. Thanks. Never heard of the Lafferty's, nor was I aware of your testimony that you've seen Joseph Smith multiple times. That would be interesting to hear about. I did read the link above about the murder of the wife of their brother, and her baby. What a horrifying, disturbing event, and to have no remorse means they believe they did right in God's eyes. I don't see the faintest connection to Denver Snuffer, however. What connection or similarity do you see? I read the Wikipedia link too. Still don't see a connection to Denver's "cult". I don't mind the word "cult" because as a Mormon I've been called a cult for many years. It's an easily misunderstood term and is usually unsubstantiated ad hominem. I take it you have no "doctrine" or teaching of Denver that you are willing to share publicly that demonstrates he is a fraud or a tool of Satan? Please share if you do, or if unwilling, then perhaps you can provide a link to others who've done the thinking on the matter. As for me, I believe Denver talks like a man sent by God to deliver an authoritative message and acts like one. I think he's full of light and I've been blessed by his teachings to come unto Christ more fully. I do agree with Denver that I should focus on Christ and not ANY man. I pray for the truth, and for the Holy Ghost. I confess I'm weak and not proficient at hearing or understanding the Holy Ghost. "Help mine unbelief!" Being that you regard DS as a fake, I am surprised he's corresponding with you by email (in the last 2 weeks even!). Perhaps you are friends(? ), and simply agree to disagree (? ), which is an indication that he has love for you and is patient and longsuffering, even with his "enemies" so to speak. You quote Denver as saying in his email to you, "But what I am teaching is true." Again, I ask you, what specifically does Denver teach that you feel is dangerous or untrue or anti Christ or not of God? You have put forth many questions, made many assumptions, and end with what you consider a repeated question.. what does Denver teach that I feel is dangerous or untrue or anti Christ or not of God. That is interesting... first, I know that Denver taught Joseph was a polygamist for the first years of his book writing. If he had visits from Christ and angels I think he would have known early on that these were falsehoods... false doctrines.. have you read his books on passing of the heavenly gift? It totally teaches polygamy. Then there are the stories about his visitations and his revelations. In the email it intimates if not outright states he is a prophet doing the work of a prophet... yet the Holy Ghost does not sanction this. Try it. Fast and pray about just that one thing. The zion gathering is based upon works they are supposed to perform. Yet all the scriptures teach the gathering of the Lord's people will be done by Jesus Christ Himself or His angels. Ezekiel is speaking of Jesus Christ when the name David is used. You need to study this out. I could put some links here if you need them. But I put forth many in the 'The Remnant' forum before they kicked me out for stating I had emails from Denver but wouldn't put them up. They told everyone that I had used foul language... which I never did... liars all... There is so much I could share but it is a lot of work.. you need to do your own study. If you do you will not be following this crowd. Rock, thanks for pointing me to Denver's Scripture, Prophecy and Covenant you linked above indirectly. Reading this was most illuminating. In the end he is threatening everyone who rejects the NEW COVENANT he expects to come into force upon its acceptance. In his justifications he mentions King Benjamin's NEW COVENANT with his people. Not surprisingly to me at least, the people were accepted into a new covenant BECAUSE of the baptism of fire and of the Holy Ghost. Nowhere is Denver encouraging or demanding the people receive the BoFaHG. This is pure subterfuge. There is only one gospel and what ever Denver's ego is constructing it is NOT the gospel of Jesus Christ. Getting the gospel right is no slight shifting of weight from the left foot to the right. It requires the whole might, mind and strength in purposeful repentance and broken heart contrition. Doing all to repent sufficiently that they Lord is moved upon to remove our stain. A gospel of such staggering significance can NOT be lightly treated or the same condemnation remains and no covenant people can or ought to be established nor even pretended to. That would be just another in a long pattern of abominations. It is a shame upon all people familiar with the Book of Mormon that they unify to defy Christ and trample upon his gospel and set up their own righteousness. Denver Snuffer needs to debate me on the importance of the Baptism of Fire and of the Holy Ghost and what is real and what is pretended to about it. Any time and anywhere of his choosing. And more especially in front of a congregation of his adherents. If someone could facilitate such an event, realizing how vital a right understanding is required for a real and true Zion, I will make myself available at any cost. I have a forty-six year track record of preaching the baptism of fire and of the Holy Ghost which IS that light promised after the Restoration which indeed has sadly been rejected because of the precepts of man. Denver Snuffer suggests that HE is this 'light'. I will prove that he is not. Very well stated James Q. Muir! These comment threads seem to dissolve into endless arguments about Denver Snuffer or blacks and the priesthood. The BoM calls such things looking beyond the mark. I agree that a true prophet would never believe in any form of polygamy, past, present or future, serial or concurrent. And that's one way to discern if anyone has really been visited by the real Christ for they would understand that. Christ taught that there will be many false Christ deceiving people to think they have been visited by the real Christ, but that we will know them by their actions and beliefs, whether they are in line or not with Christ's commandments (which were against all polygamy, etc). But neither did Christ teach us to discern truth or prophets by 'feelings, warm fuzzies, visions or praying about things'. For countless people in every religion claim those same confirmations from God and that their religion or teaching or vision is the only true one. Christ surely knew how easy it was for all mortals to be easily deceived by visions, dreams, visitations and false prophets, thus he gave us a sure way to discern them. Christ taught that they way to know truth from error or if someone is really a true prophet is by whether they keep all of his commandments, or if their teachings are the exact same as His. If not then that's a sure and easy way to know they are not what they claim, or that they weren't visited by the real Christ. Since it's next to impossible to keep all of Christ commandments, it's probably very unlikely that we would ever hear of or find a true prophet among us today or even in the past, before or after Christ (and his disciples and John the Baptist). Christ intentionally taught how high the bar was for 'prophets', so we wouldn't be deceived by false ones. For he didn't want us trusting or following anyone but Him and his few words, especially not imperfect men, who can all easily be wrong and deceived. So that means even Joseph Smith didn't pass Christ's 'prophet test' (let alone BY or those who came after him or even most Bible prophets), and thus why JS fell for and taught the falsehood in his BoM to test truth by praying about it and by feelings and warm fuzzies, for that's the easiest way to deceive people to believe something or someone. It plays on the natural inclination that everyone believes their feelings/revelations/visions are right and come from God. Thus such a teaching is common among false prophets, while true prophet teach to not trust our feelings and only discern people by their actions, not their words or claims or even their great knowledge or the good they may teach or do, for Satan teaches lots of great knowledge and false prophet do and teach alot of good to appear good. Christ didn't give very many commandments, they were very basic and easy to understand and see if we ourselves or others live them or not. So even a child knows right from wrong. We are all born with Christ's Gospel in our hearts, we all understand the Golden Rule and love. So it needn't be hard to discern true prophets or principles from false ones, except for the fact that false ones usually sound alot more appealing than true ones, thus why people are drawn to false prophets and their easier commandments (like polygamy which appeals to the natural man) than the very hard commandments that Christ actually taught. Does anyone else think it is ironic that we believe in the plurality of Gods, but struggle to accept the plurality of prophets? We know there are multiple servants in the vineyard, so why do we have to rank them like it's a competitive sport (oh, those poor "minor prophets" in the OT). Different prophets have different assignments, so if we were Ishmael in Jerusalem, do we follow Lehi or stay with Jeremiah? The answer can be different for different people based on what the Lord reveals to them. I am fascinated by these comments because they remind me of "the division among the people, some crying, 'Lo, here!' and others, 'Lo, there!' (JS-H 1:5). The pattern of God is to always send "many prophets" to warn the people before destruction. Always plural prophets. (I wonder if everyone has been so distracted by the issue of plural marriage they have forgotten the doctrine of plural prophets). 1. Prior to the destruction of Jerusalem: "there came many prophets, prophesying unto the people that they must repent, or the great city of Jerusalem must be destroyed" (1 Nephi 1:4). 2. Prior to the separation of Mosiah the First from the wicked: "the prophets, and the priests, and the teachers, did labor diligently, exhorting with all long-suffering the people to diligence" (Jarom 1:11). The people didn't have to choose. 3. Prior to the destruction of the Jaredites: "And there came also in the days of Com many prophets, and prophesied of the destruction of that great people except they should repent, and turn unto the Lord" (Ether 11:1). 4. Prior to the destruction of the United States of America [forthcoming]. We'll have to wait and see if the pattern holds. One thought about the Restoration Scripture project: In the LDS edition of the Doctrine and Covenants, there are only two women mentioned in the entire book (Emma Smith and Vienna Jacques). In the Restoration edition, there are still only three I could find with the inclusion of Nancy Hyde in Section 168 (but I suppose we could give half a point to FG Williams' "handmaiden" in Section 151). Well, that's progress. Since Joel foretells a time when "your daughters shall prophesy" (Joel 2:28), has that occurred, and can those revelations be included? Thanks Rock, I appreciate you and agree with your comment about friendship. This question of whether the church members are Gentiles has been done to death here and elsewhere. On the weight of evidence it is clear that they are not. There is some ambiguous language but overall the Gentiles spoken of in the BofM are clearly not the members of the restored church, but are those who claim to be Christians or are part of that Christian culture, particularly in the US. When one thinks of their fine sanctuaries one immediately thinks of the likes of Joel Osteen, Kenneth Copeland, Joyce Meyer and countless others. Joseph's choice of words in the temple dedication prayer is very interesting. He could have said "we are Gentiles" or "we the Gentiles" or "we who are Gentiles" but he didn't. He said we are identified with the Gentiles and that means something else entirely. In other words, he was actually saying we are not Gentiles, only identified with them. There is a world of difference. As regards the Anglo-Saxon people, they are a mongrel race. There is certainly a significant amount of Gentile blood picked up as the rebellious Ephraimites mingled with the nations in their travels north. But there is a lot, and I mean a lot, if evidence that they have Israelite roots. Joseph Smith himself stated that there was a great deal of the blood of Israel coursing in British veins, as well as other norther European nations, and even pointed to their insignia such as the lion, the harp and the unicorn etc as evidence of their connections. My own PB states that I have "come through the loins of Ephraim, bringing with it all the blessings of Abraham, Isaac, and Jacob". Doesn't sound very Gentile to me. But if you think you're a Gentile, be my guest; but I suggest you're being a little hard on yourself. The original blog is about the restoration scriptures and why are people against Denver Snuffer? I don't think any wuearionnor comment about him is out of line. Maybe there should be a time when DS is willing to talk with those of us who have serious concerns? Maybe, if that was a public discussion, his followers would understand the anxt? Being double minded means that the reasoning and the heart are not matching up. When that happens it is a sure flag to "watch and pray"
Joseph words and actions were consistent with what was taught in the Bible and BOM. Well, if we aren't Lamanites, Jews or Gentiles, how do we fit into the picture, if at all? I agree with Dave P - I appreciate Rock's posts. I think they're great. "Too Bad I don't Like Beer" was the post that sent me down this journey and led me to a far better place than I was in. The comment sections, however... The spirit of contention is strong in these parts. What happened to patience, love and long-suffering? Aren't we all trying to figure it out? Hopefully we all have the same goal, but I'm not even sure about that. I come here because I want to learn. I know other people also new to this who also want to learn put are completely put off by the tone and mean-spiritedness in so many of the comments (obviously it's not everyone and it's not all the time). Why does it feel like such a challenge to find a place, any place, devoid of contention? Contention will only cease among the nominal disciples of Jesus when the nominal disciples of Jesus freely obey Jesus's doctrine and cease from condending. Nobody is going to come and make y'all stop fighting. You either stop disputing of your own free will and choice because you love Jesus and desire to execute his commands, or you do not stop disputing. "He that hath the spirit of contention is not of me, but is of the devil[.]" As for everyone else saying "stop contending" I would say that you are part of that contending just as much as everyone else. You have your opinions of what you believe true doctrine is and that is why you comment. The truth is, until Christ comes again to enough people altogether who witness and testify of what they heard Jesus teach collectively, contention will not cease. Jesus will come to a group of people who have of their own free will covenant to live a Zion life. ( lectures on faith lecture 6) when they do and show forth by their works that they will not break that covenant, Christ will come to them and purify their doctrine just like he did with the Nephites. Pepper, it's really no laughing matter though, is it? "Denver supposedly gets upset that people follow him, even though he tells them if they don't they will be accountable before God." Those who didn't follow a prophet out of Jerusalem perished. Those who didn't follow Nephi in 2 Nephi 5 ostensibly became Lamanites (hardened hearts) and missed out on the temple he had built. Those who didn't follow Mosiah (see Omni) lost out on blessings. And yet none of these prophet-leaders wanted blind obedience or any "following." Indeed they all undoubtedly wished "that all the Lord’s people were prophets, and that the Lord would put his spirit upon them!" (Numbers 11). In light of "whether by mine own voice or by the voice of my servants...", we have a choice before us: so-call "follow" or heed his warnings (which may be THE LORD'S warnings) or say Denver is a pretender and heed not. It boils down to, "Is Denver's message true?" It boils down to being led by the Holy Ghost and thus avoiding deception. If he is true, then his warning about being accountable to God for not "following" his warnings is certainly no laughing matter. But go ahead and laugh. I prefer sackcloth and ashes and to try to stay out of the great and spacious building (1 Nephi 8:27). The BoM regards us as being "of the House of Israel". Otherwise, there would be no need for all the Isaiah stuff. I have no idea why there is so much debate over whether we are gentiles or the house of Israel. We are both. All the tribes were known as Israel and everyone else was known as gentiles. however When there became a division among them, the 10 northern tribes called themselves Israel while the rest called themselves Judah. When the ten tribes were scattered, taken into captivity and killed, Judah then referred to themselves as Israel and referred to everyone else ( even those taken captive ) as gentiles. This was the understanding Lehi and Nephi had. The title page says, lamanites , Jews and gentiles. This is referring to us as believers as well as non believers who are of Christian nations. There are those who are members who are literal descendants of Israel and those who are not, regardless our identity is separated from the lamanites who have their own unique culture as well as the Jews who are both identified as from Israel . We are foreign to both these cultures which is gentile in its nature. We are not heathens who follow a different God than Jacob. I think that sums it up very well. I found the key to unlocking the message of the Book of Mormon was to stop worrying about the definition of Israel and gentiles within the Book itself and remember that the writers saw our day and saw the people that would read their words- the restored church. Given that, it makes total sense that their words would be written to, written for, and written about said people, i.e. the members of the restored church. They didn't care to waste time and space writing about other faiths because those other faiths don't accept the BoM. Nephi wasn't talking about the Catholics or any other Christian denomination when he spoke of a great and abominable church. He spoke of the rise of the corporate LDS entity that has replaced God with itself, altered the words of the Book of Mormon, and become the great and spacious building that the people in Lehi's vision sought after instead of the fruit of the tree. Unfortunately, even now there are those who are so focused on achieving total perfection in all things that they again look beyond the mark and miss the point of the pure message in the Book of Mormon. As it says, any faults within it are due to the faults of men so why spend so much time trying to correct the problems created by faulty men when we are easily prone to be just as faulty when the message of the Book remains unchanged? A friend of mine likes to intentionally insert typos into his writing and emails because it's a great way to gauge where people focus. If they don't bother to take him seriously because his spelling and grammar aren't 100% perfect, he knows they aren't worth dealing with. Although that sounds like a plausible argument, it is clear from the text itself that many of the Book of Mormon prophets are not simply addressing the members of the restored church. Moroni for example makes a point of specifically addressing non-believers in Christ, and devotes a whole chapter to the effort. It is also true that most BoM prophets rarely addressed only the church members of their day, but preached to the Nephite/Lehite people as a whole. While this included church members, it was not exclusive to them by any means; quite the opposite in fact. I think we make a mistake when we minimize and localize the intended reach of the BoM. We also have no idea how the future will pan out in regards to the readership of the book. I totally agree with you... no man is going to make a true prophet of God unless they teach and live what Christ taught. I also agree that Joseph was not always doing what the Lord wanted, rather he wanted to please those around him. That is why it was so easy for him to become the victim of a lying conspiring group of men who were in high places. He didn't commit polygamy, but he did allow men to rule over him and begin putting together a church that wasn't what Christ wanted. Power and authority only come through God and not as a group unless Christ is walking among them like is found in the NT and the 3 Nephi of the BofM. The Book of Mormon demonstrates how the authority is always given to a man. Not a group. Nephi in the book of Helaman is given the sealing power which is only given to bind on earth the moving of mountains... or other things like droughts to bring the people to the Lord... it isn't about sealing people to people.. The hidden and unspoken things are kept back from the masses.. unless Christ is personally speaking to a lot of people at once... on the earth as was prophesied.. in the Book of Mormon. If Denver tells us we will suffer if we don't listen and do what he says and then says I don't want you to follow me... Isn't he literally contradicting or sending people off the path by such conflicting messages? It's also obvious he's a deceiver. I find it really strange how so many of the comments here express frustration with Rock for including anything about Denver in his posts. Are you really surprised by this? Do you expect something different? If so, have you ever actually read his blog before? Clearly Rock believes that not only is Denver Snuffer his friend, but is also a true messenger from the Lord. Why would you expect Rock to ever censor such information from his own blog? It's Rock's blog. He generously lets everyone comment here and say whatever they like, much like a kindly neighbor who lets people hang out on his porch and talk until all hours of the night. However, it's seems a bit strange to get upset with your host about expressing his beliefs, when he clearly allows you to express yours. Since when did Denver tell us we will suffer if we don't listen and do what he says? I've seen and heard him quote scripture telling what will happen to those who don't heed what the Lord says, but I think it's a stretch to attribute those warnings as coming from Denver himself. It isn't a stretch if you listened to his talk in Idaho last Spring. He quoted much from Jesus' words... but in the end of the talk he didn't quote scripture when he said it. Two things: 1. We must assume that Denver is the mouthpiece of Christ. 2. We must also take Denver's repeating of historical/scriptural warnings as if Denver is standing in Christ's place saying those things.. and thereby be thrown off by Christ is we reject Denver and his preachings. Again.. it requires us to believe Denver and those who are bringing this 'opportunity' of taking a covenant is from Christ. Personally, as I read the scriptures, I see Christ giving us a covenant when we obey Him... one on one... no Denver, no conference, no covenant made up by men.. In my experience, God makes the covenants, not a group creating a conference, a compilation of written text, or having a 'prophet' adding scriptures to that compilation. It isn't Denver prophesying .. it is the whole world recognizing something is coming. "Personally, as I read the scriptures, I see Christ giving us a covenant when we obey Him... one on one... no Denver, no conference, no covenant made up by men." Is a personal covenant with God mutually exclusive from a covenant God offers through His servant? BOTH ideas are correct. Or do you disbelieve the account of King Benjamin where a group entered into a covenant (Mosiah 5)? Your belief is that Denver is doing something "of men." You said, "no covenant made up by men." My experience with Denver's message and teachings is that they are full of light and truth. I am frankly amazed at the opposition from good Mormons who offer nothing of substance as a counter argument! Joseph's teachings even pale in comparison, probably because they've been tampered with so much. A light has broken forth but many perceive not the light. It's not supposed to be easy. Where would the test be? Faith is required. Times are very interesting, that's for sure. Do you believe that the men created the covenant in the Book of Mormon reports? Or were they covenants that already existed like the one made with bread and wine and the Davidic Covenant made by God or the Noah Covenant made by God and given to men... which covenant of these did the people say... read this book and then come and vote and make a covenant with the group? I believe the covenant like the Book of Mormon (which is already a covenant) came from God to men... not men to God. Can you repeat your first question? I don't understand the wording. In short, I need a greater understanding of the BoM as a covenant. You said the BoM is "already a covenant". What do you mean by that? You juxtapose "God to men" and "men to God." Is the latter a wicked thing? You seem to look down upon the "men to God" category AND exclude it from being part of the same process that yields "God to man." My point is summarized in Ether 1 by the interaction between the Brother of Jared (and his associates) and God. The people (or men) DROVE, so to speak, the process. Of course, God grants them breath and time, but THEY were the agents. THEY triggered God's covenant and blessings. Many examples of miracles are listed in this chapter. That would be "God to men", as you say. But a true prophet, Moroni, teaches us that it was BECAUSE of their faith. Please note the word "after." This demonstrates "men to God". Men drive what God does. First faith in God, THEN God acts. There IS an order. Faith does precede the miracle. We don't have a record of the actual mountain-moving miracle of the Br. of Jared, but verse 30 alludes to it, "And if he had not had faith it would not have moved; wherefore thou workest after men have faith." Again, please note the word "AFTER". That's "men to God." Finally, let's look at verse 8, "But because of the faith of men he has shown himself unto the world, and glorified the name of the Father, and prepared a way that thereby others might be partakers of the heavenly gift, that they might hope for those things which they have not seen." Faith is first, and THEN Christ shows Himself to people and bestows the heavenly gift. Can you see how you are pooh poohing the genesis of this upcoming "God to men" covenant in Sept by claiming it's not of God because there is some "men to God" process visible to you now, when the fact is that it is the faith in Christ of men/ women ("men to God") that is an indispensable step in obtaining the covenant of God to man? My first question was:Do you believe that the men created the covenant in the Book of Mormon reports? it is in reference to this statement from you. ~Or do you disbelieve the account of King Benjamin where a group entered into a covenant (Mosiah 5)? I was asking if you believe that men created this covenant? or was it a covenant that already existed that they had not received because of their wickedness? If they did not receive it because of wickedness, did King Benjamin need to make this covenant again, being a righteous person? Did his son Mosiah need to make this covenant again.. or? was it just the wicked who needed to make this covenant at this time? You asked what I meant by the book of Mormon being a covenant. It is found here in the D&C. Read the rest in the book. There is a major difference between covenant and an answer to a prayer-- blessing...though a covenant can contain a promised blessing. The brother of Jared you mentioned didn't make any covenant. You are totally confusing the word covenant as biblically applied and blessings from faith. Covenants are sometimes given to the faithless as in the time of Moses. What you are talking about isn't a covenant. It is an exercise of faith... and the result. Not a covenant. Sandra, I know the BoM is a covenant. I was asking you what that means to you. I should have asked you to rephrase and not repeat your first question. I don't comprehend the English you used. What is "Book of Mormon reports"? Sorry, but that doesn't make sense to me. As to your question of who created the covenant, surely it is God. I gotta move on. I'm seeking knowledge about what this upcoming covenant in Sept means. And want to spend time in the Scriptures and prayer to get the answers. There is only one covenant between us and God. We take the name of Crist upon us with full purpose of heart acting no hypocrisy and forsake this world at cost and at all hazard. Ratified by the baptism of fire and of the Holy Ghost. Anything else is of men. "Book of Mormon reports" means that the subject is reported in the BoM. I suppose it isn't the clearest way of saying it but Sandra's English is fine. Don't waste any time "seeking knowledge about what this upcoming event in Sept means". Underdog; woah! That is exactly what I have been saying and told that I was wrong. Denver does expect everyone to make a covenant with the new scriptures in sept that has HIS teachings, if not the lord will pour out his wrath. I have already made a covenant with the lord to live the revealed scriptures. I do not accept Denver as the lord's mouth piece and by his own words then and in lecture ten, then I will bring upon me the lord's wrath. "My experience with Denver's message and teachings is that they are full of light and truth. I am frankly amazed at the opposition from good Mormons who offer nothing of substance as a counter argument! Joseph's teachings even pale in comparison, probably because they've been tampered with so much. A light has broken forth but many perceive not the light." Pepper, good morning. What are you referring to above when you say "This is exactly what I've been saying..."? I think I know, but want you to clarify. 1) Denver accepts Section 132 as doctrine. Pepper, have you not read his revision of Section 132 here: http://scriptures.info/Scriptures/dc/section/54? Please read and get back with us. 2) Multiple mortal probations. You say it's garbage. I say I don't know. Perhaps if it is true, it's something that is "meat" and you're choking on it. You DO agree, I presume, that there are truths that are too much for you to handle? Some truths infuriate people so much the reaction is to KILL you, to give you an idea. I think there is a chance that the multiple mortalities idea may be one such truth. There is evidence and reasoning for and against it. It's not been revealed to me, and I'm guessing if it had, that I may not be authorized to discuss it. In fact, if Denver is a true prophet (this would apply to ANY true prophet), I would 100% expect some things to "slip out" that he regrets letting slip out. After all, he is a prolific blogger and writer. He is imperfect, and surely he might fail to keep everything under wraps. The temptation to teach a meatier truth would be hard to avoid esp if you LOVE discussing doctrine with people, as he surely does. Think about it. Please note he has not "officially" endorsed this idea, and I don't believe he has publicly written about it, has he? So it's hearsay. Not that he didn't say it to somebody at some private time, but nevertheless he hasn't publicly taught it, as far as I understand. Anybody else can confirm or deny this with evidence? Circling back to me exposing you, I asked for substance and you've given nothing. I think it's important to understand that Denver is an intelligent lawyer. He understand implied intent he knows exactly how to use his words to get his listeners to come to his desired conclusion. He knows when he says to make that covenant or else god will pour out wrath, if you curse him god will curse you, god changed his name to David , that he is a messenger and consequences will follownid his message is rejected etc, thy he is directly and indirectly implying he is to be followed and speaks for Christ. Inferred from circumstances; known indirectly. In its legal application, the term implied is used in contrast with express, where the intention regarding the subject matter is explicitly and directly indicated. When something is implied, its meaning is derived from the words or actions of the individuals involved. For example, when one individual gives another a gift, the recipient's acceptance is implied if he or she performs acts indicating ownership, such as using the gifts." The best you have is to allege that he's a slimey lawyer and intentionally trying to deceive people by clever use of words, where he implies, or PREVARICATES? That's your best evidence? As for your wish, how many times does Denver have to say it. He condemns and even ridicules people who would follow HIM. This is what you'd expect a true prophet to do, wouldn't you? So you criticize ironically a man for acting like a prophet. He points to Christ. Follow Christ, he teaches. He says he himself is nothing but a weak man who is unworthy and he WISHED it was anybody but him who had his mission. What else would you want him to say or do??? The "implication" you're referring to I agree is a most serious implication. Because it is nevertheless true that "whether by mine own voice or the voice of my servants it is the same," meaning IF he is a true, authorized messenger than rejecting him is a most serious matter. You are rejecting him, right? I respect you for that. And if you're right, and you've made your own personal covenant with God and you're part of the House of Israel and have your calling and election made sure, then you're sitting pretty. I do not believe you can quote an example of Denver prevaricating. Can you? Show me an example where he trying to DECEIVE. Any "implication" Denver is guilty of is actually the him touching upon the truth, but he doesn't want to spell it out. For example throughout his blog going back to 2010, I believe (which I've not read all of it since I'm late on the scene), he frequently implies things (mainly through asking questions), leaving the read to draw his/her own conclusions. A good example would be that the leaders of the corporate LDS Church are in a state of apostasy. He never comes out and SAYS it, but the "implication" is there. Yes, this annoyed quite a few people. Similarly, he's annoying you because he's implying that if you land on the wrong side of things and you're not on his side, then trouble will lie ahead for you. No power of influence can or ought to be maintained by a position of authority. THAT is Denver's guiding principle. He's not going to quote authority to you. It goes against the principles laid down in DC 121. So frequently all he can do is IMPLY, or lead you to the water and let you make the conclusion for yourself. And how fun it is that when people like you do draw a conclusion, that they are then enraged and rail against him for supposedly cleverly using lawyer's words and implying without coming out and saying it directly to your face. Not that he doesn't teach many things directly. But much he leaves to the free agency of others to decide. As it should be. Those are just a sampling. Denver is not the only one speaking with God. RISE UP!!! REND THE VEIL!!! GET YOUR COVENANT DIRECTLY FROM The God of ISRAEL!!! Rob Smith from UpwardThought certainly believes HE fits the description of the latter-day servant. He's been very critical of Denver esp in tone and insinuation, but he seems to be playing both sides (he will have to eventually make a decision). But if you were to ask him specifically, "Have you been in the presence of Christ, have you accepted a covenant personally from the Son and the Father? ", I wonder what he'd say. I don't believe he claims this, so I think you're mistaken. I have read his book, and I like a lot of what he says, and I believe he's been blessed to receive many wonderful insights, and I think that's great. But his tone and demeanor I find questionable and often offensive as it looks like he exalts himself while debasing others not as illuminated as himself. I do agree with your exhortation to RISE UP! Amen to that. The Book of Mormon covenant is not the book itself. It is as D&C 84 commands: 'not only to SAY but to DO according to that which is written." It is the DOING of the commanded gospel of Jesus Christ that makes the covenant. And what IS the ratification of that covenant.....the baptism of fire and of the Holy Ghost. Same as what Jesus commanded in Acts Chapter One with the Jews who already believed and were for the most part already chosen. But they needed to fulfill the covenant that the Father must visit and Jesus needed to NOT be there. For while he is here he is light of the world. So Jesus left that the gift and power of the Holy Ghost would fall upon the people and make them saints. Sanctified. Now part of the kingdom of God. Not by joining a church but by DOING what is commanded of all who would become the children of God. Denver Snuffer can only sneak around this because he has never DONE according to that which is written. If he had it would be all he would speak to and not go beyond the mark of seeking to see the face of Jesus. Like Alma the Younger when you get the real thing you value it so perfectly that it is all you can do to preach it all your days. James (and Pepper), what you say about not only SAYING but DOING makes sense to me. There's scriptural precedent for that as well. Thank you. I saw your blog and will give it a read. It's pretty bold to declare that Denver "has never DONE according to that which is written". Seriously? 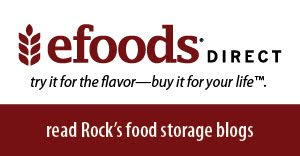 Have you read Denver's series of blog posts from August 2012 on the BFHG? http://denversnuffer.blogspot.com/2012/08/bfhg-part-4.html. [ Read from Part 1. It's brief. In that series he describes his experience receiving the BFHG. I personally have received this divine manifestation of power, the BFHG. After much trial and sacrifice and demonstration of my faith I experienced that life-changing moment which turbo charged my spirituality and understanding of the Scriptures. I became born again, like Alma and the sons of Mosiah. However, that was the pinnacle of my experience with God so far. I didn't realize something back then almost 30 years ago. In part 5, he writes, "There is a progression of blessings conferred through the fire and Holy Ghost. Even if there is a mere beginning, there is a glorious ending. As with the Lamanites, it leads to an open vision into heaven, ministering of angels, and an endowment of unspeakable learning. It brings to the initiated the knowledge of the mysteries of God." You see, I didn't realize the baptism of the Holy Ghost was the beginning. I didn't realize that I should have persevered towards the light. This is a result of having a famine of the Lord's words in our day. For my part, I wasn't astute or progressed enough to learn to hear the voice of God. Part 5 reveals much knowledge. (To Pepper:) This is why I said that Denver lays out so much more in quality and esp quantity compared to Joseph Smith. For example, he continues, "This more distant end of the endowment also involves priestly rights. Priesthood ordination is required before entering into the ceremonial presence of God in His Temple rites. Priesthood conferral is required to enter into His actual presence. The revelations are clear in connecting baptism of fire and the Holy Ghost with knowledge of God's mysteries. (3 Ne. 11: 35-36; 3 Ne. 19: 13-14.) They are equally clear in connecting this knowledge of God with priesthood. (See D&C 84: 19; D&C 107: 19.)" "The fullness of the Gospel, the fullness of the Priesthood, and the baptism of fire and the Holy Ghost all have as their object to reconnect man to God and God to man. Man is unworthy to enter into God's presence, and therefore, requires a power higher than their own from which to borrow purity. This purifying agent is the Holy Ghost. (3 Ne. 19: 22, 28.) Christ will administer the final rites and confer the final blessings only upon the pure. (3 Ne. 19: 29-33.) The reference to "blood" as sanctifying is a reference to the Lord. (Moses 6: 59-60.) He alone sanctifies." The object, he says, is to reconnect man to God and God to man. The BFHG is not an end unto itself. Perhaps the "end", as in "enduring to the end", is Jesus Christ. He concludes Part 5 by saying, "Baptism of fire and the Holy Ghost are necessary parts of bringing mankind back to redemption and into God's presence." To Pepper once again: You mock that I say Denver is maybe even a more prolific and greater revelator than Joseph Smith? What make you of this quote from Part 6 of his posts on the BFHG: "The purpose of baptism of "fire and the Holy Ghost" is to preserve and to purge a living being. It is to render indestructable the organism upon which it descends. It is not to prevent earthly death, but to allow eternal life. Christ's Gospel is to bring eternal life so that those who die may live again eternally. (John 11: 25.) These people never die, because they live eternally through the fire bestowed upon them. (John 11: 26.) Such eternal life begins now, while still in the flesh. They live here as members of another assembly, and then pass from here to join them again. (D&C 76: 67.) Though they are men in the flesh, they are gods, even the sons of God, and all things are given unto them. (D&C 76: 58-60.)" Wow! Gods walking among us now. Talk about bold declarations. You ask what's so special about his message? Nuggets like this are sprinkled throughout his writings, but you esteem his words as naught and trample them under your feet! Denver concludes with: "This topic (of the BFHG) cannot be adequately explained by man to another man, but it can be known to any man through God. It is intended that all should be converted and experience this, including you. Be believing. Ask. Seek. Knock. It will be opened to you, as it has for all those who are faithful and trusting of God." Underdog, first I suggest that Denver is not ignorant of the messages he is sending to his listeners. He knows full well that when he tells people that he is a Messenger and that they better be careful how they hold his name and his message on their lips, that he is placing a condundrum within a person. If that person believes his message and that he is messenger then he kNOWS his words will hold weight with that person and they will hang to every word. I have seen it! He sends mixed messages to his listener. Don't follow me, but you better listen to me and you better make that covenant to accept the new scriptures in sept that contains my "revelations" You don't think that he knows exactly why is being implied? He knows. Don't thing for one moment that he does not know people hang on his words. He knows the way he framed his statement what they would imply. Second, yes I have read his edit of section 132. Please let me know in what way his edit still does not condemn polygamy when he still has JS asking the lord why the ancients were justified? They were not justified. The whole entire section is about polygamy through and through. Eternal lives is all bout living polygamy as. Family unit hence eternal lives. Not about mmp. Place, knowing that it was testified by Emma that no part of it was from JS? It came free JS yet it's treated a though it came deomnjim when the very testimony surrounding it is seriously flawed? Denver is an Atty ansnhe xant see the legal issues with it ? Edith DeBArthe did an linguistic analysis and showed that it, long with a great portion of king Follet sermon came from BY. Pepper, my last post too. Maybe I should be bewildered. I def am not hung up on polygamy either way. The ancients practiced it, and the BoM says it's okay if God commands it. Whatever. I really don't care. Neither does my wife, though she says the lady better be a good cook and housekeeper, and weigh 300 lbs with air on her face. More important is worrying about discerning God's will and doing it, than letting pet peeve doctrines make us lose our focus. If Denver is a deceiver, then he is darn good, wouldn't you say? That would be so nefarious. I don't sense he's a brilliant deceiver. I hear him constantly point to Christ and away from him. I sense sincere humility and a Jonah-like reluctance to do what he's been called to do. Clearly he would prefer to not have the burden. But he soldiers on. Time will surely expose him if he's of the devil. The BoM brings light and has been scrutinized for decades over and over, and still stands as a great testimony of Jesus Christ. Denver's message too is being scrutinized by many eyes, as well as his personal life. Surely if he's of the devil, he'll be caught red handed doing something unbecoming such a holy servant. If he is evil, if he is a wolf in sheep's clothing, then we're all in big big trouble. We're all in trouble as it is with all other other wolves in sheep's clothing around us. Any prophet's message is his fruit. His message is what we must judge to determine if he's of God or not. May God help us all to discern light and truth and to come unto the true God, even Jesus Christ. Thank you for sharing your thoughts and have a good weekend! "If the baptism of fire and the Holy Ghost is viewed as conferring revelation and opening the scriptures to your mind (as Joseph and Oliver recount in the JS-H), then I have received this endowment. If it is viewed as requiring ministering of angels, then I affirm I have received this endowment,"
I think this is in his second installment. There is an arrogance of taking the event for granted without an appropriate appreciation of ever being 'wrought upon and changed and given a new heart from God' Where is his treatment of the actual sanctification that falls upon a soul that TRULY repents or his appreciation of the whole, heart, might and mind sacrifice of this world subjecting oneself utterly to the name of Christ? It is not hard to like his Zion points. But a great disservice is rendered if he is not capable of seeing that the people truly come in at the door to the sheepfold. If they come any other way and even excel at the appearance of Zion it will be refused. I need to see the fruits of the New Man in Christ Jesus. I still think he sidesteps this. How could there be the slightest case of him wondering IF this and IF that. The experience of the Mighty Change from God does not leave a soul to wonder IF in the slightest degree. Sounds like he is principally concerned with what OTHERS will accept. He should be calling down hard against the pollution of LDS hypcrisy that Jesus predicted in 3 Nephi 16:10. I judge him flattering the people to skirt the gospel and go beyond the gate to pretend to Zion. The fury of an in your face call to repentance would get him rejected quick. But if he truly cared about the people getting a real Zion and saving their souls there is no other way about it. 'All is well in Zion' must be broken. Flattery will never break down the generations of ensconced LDS hypocrisy. He exposes a burden of false doctrine like the Holy Ghost is on probation and that WE will sit upon the same throne as Christ and the Father. Makes me wonder exactly where he got some of his correct understandings from. The same judgement we judge by shall we ourselves be judged by. if therefore we judge someone else to be a false prophet, whatever standard we used to arrive at that conclusion shall be applied against us. Christ said whoever has the spirit of contention is not of him, but is of the devil. But that standard is only safe to apply externally (as opposed to internally) if one does not oneself have the spirit of contention, for if we accuse the innocent of having the spirit of contention, we shall be found accusers of Christ at the end. Therefore, what is the only safe standard to judge another by, that we may see and know him to be a false prophet? What divides a true prophet from a false prophet? There *is* such a standard, by the way. Ironically typified by the KGB agent in The Hunt for Red October. I disagree. The devil is not clever, he's just experienced. He's been around for a long time and has learned a few tricks. However, every human being ever born has the ability to out-smart him. Every single one of us, without exception. So rather than him being smarter than us all, the truth is we are all smarter than him. I so agree with your evaluations and opinions on DS' teachings. I was shocked by some of the statements by DS. Really, he is starting to confound all things in one in order to get his agenda followed. It kind of scared me. I think this is in his second installment. There is an arrogance of taking the event for granted without an appropriate appreciation of ever being 'wrought upon and changed and given a new heart from God' Where is his treatment of the actual sanctification that falls upon a soul that TRULY repents or his appreciation of the whole, heart, might and mind sacrifice of this world subjecting oneself utterly to the name of Christ?" SO WELL SAID! In these kinds of claims he makes it all about him and his visitation and his qualification and nothing is showing any change or actual godliness. Nor is Christ even mentioned. A true prophet testifies of Christ, not himself. I have seen and experienced men and women who have been wrought upon by the Spirit and their skin is literally transparent, their eyes literally become clear blue, even if they are green or brown. He tries to make it all sound so common place. Beware, however, because whatever he hears us say in our evaluations, he adds into his next blog or 'experience'... I believe his use of to make himself appear more authentic. Well said. It astounds me that anyone has been taken in by DS and his ego trip. But alas, some are blinded by the craftiness of mean. Denver seems to teach both truth and error, just like everyone else on the planet. And I agree with Christ that we should not follow anyone but Christ, we only need his teachings and not any more. And even though I don't believe Denver is at all a prophet and I don't agree with some of what he teaches, if someone feels they need to follow someone other than Christ, he seems far better of a man than Joseph Smith or Brigham Young or any other past so called LDS prophet. I would say the same thing to you. Seriously? Why would any person trying to follow Christ uphold, follow or support or put trust and faith in someone who supported unChristlike doctrines like inequality of women, racism, slavery, polygamy, asking for money from even the needy, living off the Church, and so many other unrighteous things. If you are still a member you probably don't realize the things they did and supported. I doubt Denver would support such things anymore. When you study Christ's teachings and commandments you can see that those men did not follow them. And Christ, not wanting us to be deceived by false prophets and their false doctrines, was very clear that a true prophet would keep all of his commandments, that's the only way to tell if they are true or not. For anyone can do some good deeds or give a talk about even lots of true and good things (in order to look good), but few if any can actually keep Christ's difficult commandments. That article tries to plant doubt about the BoM and Joseph Smith and Denver. 3 birds one stone. What I can say is that I know by Heaven testifying to me by the power of the HG and the baptism of Fire that the BoM is true and Joseph was therefore a true prophet. Denver's message and testimony is to me as powerful as anything as Joseph has ever written. The Spirit whispers to me that his message is true. Meaning, Jesus is appearing to Denver and working through Denver in these last days. If Denver is a fraud, ask yourself, What's in it for him? The 3 main motives for priestcraft are: women, money, and power. Is there any evidence he's unfaithful to his wife? Is there any evidence is profiting monetarily? Is there any evidence he's looking for power and "authority"? My understanding is that he's a faithful husband, that he spends his OWN money to get the word out, he donates proceeds to good causes, and that he repeatedly condemns the notion of putting faith in him, but always points to Christ. He's written a prodigious amount of words. He's putting himself out there, wouldn't you say? With all the scrutiny, who has come forward with evidence that he's a fraud or that his message is of the devil? He MUST be of the devil if he's deceived or lying, and yet scrutiny of his millions of written words yields no evidence of that hollow accusation. I believe Christ is in fact speaking through Denver and accelerating the marvelous work and wonder which WE ALL KNOW IS SUPPOSED TO HAPPEN IN THE NEAR FUTURE. And when it does begin to manifest itself, look at all the naysayers come out of the woodworks! I just read that article you shared and it's mostly BS. The guy obviously doesn't believe Joseph Smith was a true prophet and clearly implies that the Joseph Smith translation is not inspired. Anyone who as actually studied the JST can see how truly inspired it is. If I were you I'd steer clear of sites like this one. The author does get one thing right and that is that Denver's TSJ is total BS. Not sure if Denver ripped that Hall guy off or not, as the author claims. Doesn't really matter. The reason Denver's TSJ is totally BS is because it blatantly contradicts the JST in multiple places. Not only that but the TSJ is complete nonsense. It's basically Denver writing some weird bizzar version of the Gospel of John and then forcing in a bunch of his own ideas into the text. How anyone can take this new "revelation" seriously is beyond me. It's the most damning evidence yet that Denver is a fraud. DX May I ask how you know this ? Jared my responses to the article are contained in the comments section of the blog. Essentially the commentator rejects the concept of revelation and considers anyone who hasn't the credentials of a PhD in modern biblical studies as incompetent to work in the area or even have reasoned views . Indeed they also reject anyone who has those credentials if they are associated with BYU or church apologetics. 13 But it came to pass in the ninetieth year of the reign of the judges, there were great signs given unto the people, and wonders; and the words of the prophets began to be fulfilled. 14 And angels did appear unto men, wise men, and did declare unto them glad tidings of great joy; thus in this year the scriptures began to be fulfilled. 16 Some things they may have guessed right, among so many; but behold, we know that all these great and marvelous works cannot come to pass, of which has been spoken. Thank you all for your replies, I really have not come to any conclusion, just found the article linked in an Uncorrelated Mormonism Facebook page. I agree that stating that a PhD is required in order to correctly interpret Scripture is fallacious. You seem to want to pick and choose which parts of God's word you will believe. Do you only accept Christ's sermon on the mount as binding or do you accept all of His words? Do you deny the Old Testament, The rest of the New Testament, the Book of Mormon, the D&C, and Pearl of Great Price as scripture? I think you may be forgetting that Christ, who was the God of the Old Testament, gave the law of Moses which set forth laws governing polygamy. The scriptures also speak of Christ as being the God of Abraham, Isaac, and Jacob. Abraham and Jacob were polygamists according to the Bible and so was Isaac according to the Apocrypha and D&C 132. The Bible and D&C 132 also say that David's many wives were given to him by the Lord, and his only sin was taking the wife of Uriah and having him killed to cover his sin. I'm no polygamist nor do I desire to be one, but throwing Joseph Smith and Brigham Young under the bus over it is unfounded. Clearly there are times when God has authorized, if not commanded the practice. I think you may also be forgetting that God clearly put the man before the woman. Adam was created first and Eve was created to be an help-meet for him. The apostle Paul also defined the relationship between husband and wife as the man being before the woman and being responsible to love her just like Christ loved the church. Men and women's roles are different according to God. The man is not better than the woman, but there is an order to things. Modern feminism has distorted this, and given the image that women have been treated unfairly and suppressed by men since the dawn of time. This is not correct. It's also worth noting that Joseph Smith's establishment of the relief society was anything but oppressive to women. As for racism, that is from God, too. Who do you think made the races? It was God who put a mark on Cain, and who darkened the skin of the Lamanites as a curse. The Israelites were not to intermarry with the Canaanites. The Nephites were also not to intermarry with the Lamanites. The punishment being that they would bring the curse upon themselves through their posterity having the curse. During Christ's mortal ministry he was only sent to the "lost sheep of Israel", not the gentiles or the Canaanites. The scriptures also clearly allow for individuals to receive support from the church under certain conditions. The Levites were allowed to take part of the sacrificial meat to support themselves. The Book of Mormon allows for Priests and Elders in poverty to receive support from the church. The D&C does as well. Joseph Smith was poor, and his full-time ministry took up nearly all of his time so that he could not work very much. This was a unique situation as most other prophets and apostles have had to support themselves, but considering the unique nature of his calling and the precedent of those in poverty being allowed to receive support from the church, this is also no reason to throw him under the bus. Brigham Young's situation is a little different. In his case his assets and the assets of the church were often intermingled. He also had a very large family to support and worked full-time in building up the church. He and the other apostles established and ran the church's industries, which at that time were vital for the survival of the saints. Only the Lord can determine if he took liberties with the support he received. "If Denver is a fraud, ask yourself, What's in it for him? The 3 main motives for priestcraft are: women, money, and power. Is there any evidence he's unfaithful to his wife? Is there any evidence is profiting monetarily? Is there any evidence he's looking for power and "authority"?" Are listed out by you in the remainder of your post. You think the fact that Denver isn't 'married' or playing around with other women that you know of...makes him not a womanizer? He is constantly putting women up with a lot of flattery... winning their hearts... and loyalty ... like the devil that flatereth them and leadeth them carefully down to hell. He is so busy promoting himself through books, talks, blogs, and such... that it appears that he is doing it all for you... wow... how blind! You need to know that what you desire, you will get... eventually. Jacob 4:14. I would bet you want to have a prophet that tells you what you want to hear.. tickled ears are all that you will see among the denver snufferites. If Denver is a fraud, then the devil has changed tactics and promotes Christ. Can this be possible? For 30 years I've very much underappreciated Mormon's priceless wisdom about how to tell a fraud outlined in Moroni 7. I've heard the devil will tell 99 truths to get you to believe 1 lie. That saying is what Mormon may have had in mind when he wrote in Moroni 7, v. 6: "For behold, God hath said a man being evil cannot do that which is good; for if he offereth a gift, or prayeth unto God, except he shall do it with real intent it profiteth him nothing." Or v. 8, "For behold, if a man being evil giveth a gift, he doeth it grudgingly; wherefore it is counted unto him the same as if he had retained the gift; wherefore he is counted evil before God." So the devil when he tells 99 truths, he's still EVIL. So would be the man who engaged in fraudulent deception. He would be counted evil before God for even telling 99 truths! I had thought that the devil was doing good when he did that. But that's not the case! Verse 11: "For behold, a bitter fountain cannot bring forth good water; neither can a good fountain bring forth bitter water; wherefore, a man being a servant of the devil cannot follow Christ; and if he follow Christ he cannot be a servant of the devil." Let's assume Denver has told 99 truths, or 999 truths. Surely YOU would even agree he testifies of many, many truths. But I ask, what is the nefarious, sneaky ONE lie he's telling? Is it when he says at least 7 women must sustain a priesthood ordination? Oh, how evil! How flattering to women! Is this a sin? Is this your evidence? Seriously, what lone lie has he told? Perhaps it is that he is commanded of God to deliver a message? Well that could be it. Then you must reckon with Luke 11: "Every kingdom divided against itself is brought to desolation; and a house divided against a house falleth." And you still have the remainder of Moroni 7 to deal with which conflicts with your judgment that he's evil. Barring any evidence Denver is up and about doing much or even A LITTLE evil (not that he's perfect or claims to be, and you know he doesn't), or teaching lies or untruths, I don't see how the kingdom of devil would fight against itself by inspiring a "wicked man" to build up the kingdom of God. Your argument doesn't seem very persuasive to me. What evidence do you bring to the table that he's got women on the side, is practicing priestcraft, or is profiting? If you or anybody has such evidence, for the love and care of your fellowman, please share. Otherwise, why not just let Denver worship God according to the dictates of his own conscience? Why not let him be? Why the outrage? Why get stirred up? If he's of man, or of the devil, his work will come to naught. I believe the Devil and false spirits, do teach mostly true things and even often pretend to be Christ, full of seeming love, radiance and glory and promote and teach many of this teachings, for if they didn't they couldn't deceive people as easily. And even those who follow false spirits also teach and do many good and wonderful things and do much service for others and inspire others to do good, and they do so usually very sincerely, believing firmly that they really are following God, and they will be blessed for the good they do, but it's the falsehoods they don't realize they may be promoting that the false spirits have slipped in, that lead them and others off the path, no matter how well intentioned they may be. The Devil doesn't build up the Kingdom of God but it can look like he does or he makes people think they are. But I agree we should just let Denver be, and also let Joseph, Brigham or Monson be, or anyone else that would try to teach us their version of the Gospel, and just follow Christ on our own, for Christ taught us to only trust him as our leader and no middleman, not even a prophet, for only Christ was perfect, and everyone else could easily and often be wrong or unknowingly fall, no matter how sincere or nice they may be. Even true prophets would only tell us to learn of and follow Christ, not them or their teachings. When we study the LDS supposed teachings of Christ along with or worse, over, the actual teachings of Christ in the NT, it can make it harder to know when someone is not teaching or keeping the exact teachings and commandments of Christ. So if we have been raised in the Church, we need to go back to square 1 and study the teachings of Christ without an LDS bias, just like if we were any other religion, for the religion we are born in or that we joined cause it appealed to us, can taint our perspective of Christ. We must go off only his words in the NT and then test all other words and writings by those in the NT. In the NT, Christ taught we will know his true disciples and even prophets, not by the visions or revelations they claim or the miracles or writings they may produce, but by the simple fact that they keep all of his few and simple but very difficult commandments. And since it's so rare if not impossible to find anyone, anciently or today, who does keep those commandments, Christ taught us to use that as the high bar to discern by, so we wouldn't be deceived by those claiming to be true prophets or disciples of his. By Christ's high bar it seems that most prophets thru the ages actually haven't measured up to his standard to be considered true prophets or even disciples of his. For they haven't all kept his commandments. John the Baptist is one of the very few true prophets it seems. Christ made it very easy to discern who really follows him, since his commandments are so hard to keep and are rarely followed or even taught. If some rare person did keep them they would shine out like a bright star in the night sky, like Christ did. Also, we can know if someone has likely seen the real Christ the same way, for they will keep and believe in all of Christ's commandments (as found in the NT) and not teach things contrary to them. It seems many, like Joseph Smith, have been and are being deceived by false Christs, that teach many marvelous truths to them but slip in a few and then more and more appealing falsehoods that he knows they want to hear and accept. Everyone believes things only to the level they are willing to live. So if someone doesn't keep all the commandments of Christ, that's how you know they aren't true disciples or have probably not seen the real Christ. The more we keep those commandments ourselves the easier it will be to discern truth from error and his true disciples and prophets from false ones. @Underdog2 I am curious about one thing regarding the Denver Snuffer following. How many of them were former followers of the Rigby brothers in the Ninties? And how many come from other wacko groups of 'hyperites' needing to think that they are pioneers of some new thing? I have no idea. I'm new to it. I've not heard of the Rigby brothers. The people I've met all are great people. They tend to be scriptorians, so to speak, and have a love of the Restoration. They are or were formerly faithful, upstanding Mormons who reluctantly acknowledge the apostasy of "the Brethren". True and dead prophets, such as Isaiah, are perfectly acceptable. False living prophets are also perfectly acceptable. True and living prophets, as Joseph said, are never acceptable. The world loves its own, and hates those that are God's. I would suggest that although dead prophets like Isaiah are given more respect than a true living prophet, their words are pretty much ignored by the world and even by most so called believers other than the truly orthodox. Some people do accept a true living prophet, but the world certainly doesn't. The question is if there are any true prophets on earth today? From what I can tell there aren't, but what do you think? Men prefer dead prophets because the dead aren't around to get in the way of putting words in their mouths. Of course there are true prophets on earth today. The test for a true prophet is hard; the test for a false one easy. Discerning for oneself which is which is part of the test of salvation. Hence, "Judge not and ye shall not be judged; condemn not and ye shall not be condemned." "For with the same judgement ye judge, ye shall be judged." Proverbs 29:4-5 – Beware the man who comes bearing gifts and invoking flattering words. You say "Of course there are true prophets on the earth today." I'm curious why you are so certain of that. There are people out there who claim visions and warn people to repent, but from what I can tell their doctrines contradict each other and in most cases their doctrines also contradict the word of God in the scriptures. I haven't found one yet whose doctrines fully square with the scriptures. Not that I claim to fully understand the scriptures myself. You would think that if these folks were true prophets they would all be telling the same story. Also when I read the scriptures I don't find any prophecies of many true prophets being on the earth in the last days. I only see one who is known as the one mighty and strong or Davidic Servant/King. I suppose there are also the 144,000 and the two prophets who will preach to the Jews in Jerusalem. From what I understand about this prophet's mission (which admittedly isn't everything) I don't see how he could have already arrived on the scene. Nor do I see any evidence that the 144,000 have been sealed and sent forth. I know you have accepted Denver Snuffer as a prophet in the past, not sure if you still do, but for me I don't see true prophetic fruits from him or those associated with the remnant movement. I don't see prophecy or mighty miracles which are a sign of true believers and the presence of the fullness of the priesthood. You are absolutely correct though. We have to be very careful not to judge unrighteously. We also have to be very careful not to be deceived either. As you say this is part of the test of salvation. True prophets only preach Christ and His words. They don't create whole doctrines out of their interpretations of scriptures. Brigham Young created the whole doctrine of polygamy out of Jacob 2:30.. changing the whole meaning of that passage to suit his desires. False prophets use flattery, charismatic emotion evoking speeches, grand sweeping plans of making people feel like they will arrive if they follow him... not putting Christ in the center... allowing people to put him up... making sure he doesn't put himself up... except by association with 'special' gifts of the Spirit which are witnessed only by him in his bedroom. To answer your question, I don't think Joseph Smith was a true prophet because I don't believe he kept most of the commandments of Christ as found in the NT. I think those commandments are pretty straight forward and thus we can see if someone keeps them or not. And Christ taught that true prophet would keep all his commandments, that's how you know they are the real deal and not just pretending. Thank you for your answer. Will you please tell me which commanders he broke ? I have come to the conclusion that Brigham Young not only changed some of the wording of sermons given by Joseph Smith Jr., but also changed parts of the history of the LDS church, and D&C to lead and manipulate it’s followers to conform and justify his lifestyle. Today the Mormon church does not represent the original organization established by its creator. Knowing that our beliefs are based on the Old Testament I decided to study it through the Hebrew Tanach so I don’t have to shuffle through the translation problems that happens in most translation processes. In this research I’ve found that Constantine and his mother did the same type of thing Brigham Young did. There has been an age old goal of the gentiles in trying to blot out the name of God. All other gentile kingdoms would kill anyone calling upon His name and try to force the Israelites to worship their pagan gods or at least worship their current king. Constantine and his mother along with the Nicaean Council did the same thing about 100 years after the death of Christ. They were in control of most of the known world, and saw an opportunity to replace the god of the Hebrews with another god that had a relation to that Hebrew God. In essence they were devising a religion that would be acceptable to both pagan and Christian, and with the killing of any practicing Hebrew, achieving the goal of blotting out the name of God. The Hebrew nation decided to go along with the ban on God’s name to avoid their extermination in thinking the messiah’s coming was imminent. Time passed until at some point the fear of death for calling upon the name of God was replaced by tradition, and the Hebrews lost site of the real reason behind the silencing of it. The Nicaean Council came up with a name for the new church. It was called the Catholic (meaning “Universal”) church and all Christian religions sprang from that church. They took the Tanach, removed God’s name and replaced it with “the LORD” and changed whatever needed to be changed (just like Brigham did) to achieve their goal. Constantine took away God’s timing, and replaced it with their calendar. The same calendar we follow today, the Gregorian Calendar. He also installed pagan rituals and feasts with Christian names by their calendar. Christmas, is where they celebrate the birth of Zeus to his mother Rhea, practiced for centuries on the Gregorian calendar date of December 25th, replacing Zeus for Jesus and Mary for the mother of Zeus. Easter is celebrating the reincarnated queen of Babylon, Semiramis, into the goddess of fertility “Easter” representing rebirth or spring. The miracle she performed to acclaim her divinity was to change a chicken into an egg laying rabbit. Knowing that most religions of this world are based upon the Hebrew Tanach and also knowing that Constantine pulled a fast one in translating the Tanach, I decided to find a source that could and would speak directly from the Tanach into English. I’ve been amazed at what has been revealed. I have a better understanding of my Heavenly Father and what he expects from me and others who are committed to find truth instead of following traditions of a revised pagan religion masking as Christians. I was comparing the difference between verses in an ancient account of Matthew found in the Hebrew language and the KJV of the same verses. 1 Then spake Jesus to the multitude and to his disciples, saying, The scribes and the Pharisees sit in Moses' seat. 2 All, therefore, whatsoever they bid you observe, they will make you observe and do; for they are ministers of the law, and they make themselves your judges. But do not ye after their works; for they say, and do not. 3 For they bind heavy burdens and lay on men's shoulders, and they are grievous to be borne; but they will not move them with one of their fingers. 2.Saying: Upon the seat of Moses the Pharisees and the sages sit. 3.Now all which (he) say to you keep and do; but (according to ) their ordinances and deeds do not do because they say and do not. 4.They demand and set forth great burdens (which) (the shoulders of men) are not able to bear; but they themselves even with their finger are unwilling to move. If you didn’t catch it, the (he) is referring to Moses. 18 Therefore, let your light so shine before this world, that they may see your good works and glorify your Father who is in heaven. 19 Think not that I am come to destroy the law or the prophets; I am not come to destroy, but to fulfill. 20 For verily, I say unto you, Heaven and earth must pass away, but one jot or one tittle shall in no wise pass from the law until all be fulfilled. 21 Whosoever, therefore, shall break one of these least commandments and shall teach men so to do, he shall in no wise be saved in the kingdom of heaven; but whosoever shall do and teach these commandments of the law until it be fulfilled, the same shall be called great and shall be saved in the kingdom of heaven. I don’t know about you, but these speak paragraphs of difference to me. I won’t go into it, but just let me say “those who have eyes to see, let them see, and those who have ears to hear let them hear.” If you can’t see the difference then don’t let me waste your time, but for those of you who do, let me encourage you to continue your search for truth. You’ll be amazed at what you’ll find and I’ll bet God will be in there somewhere along the way.